- Many boulders. As flat and thin as possible. Try to collect them of approximately equal thickness. - A simple pad door. You can also use a piece of old carpet. Again - as a thin (but tough), as possible. - Glue - preferably for stone. 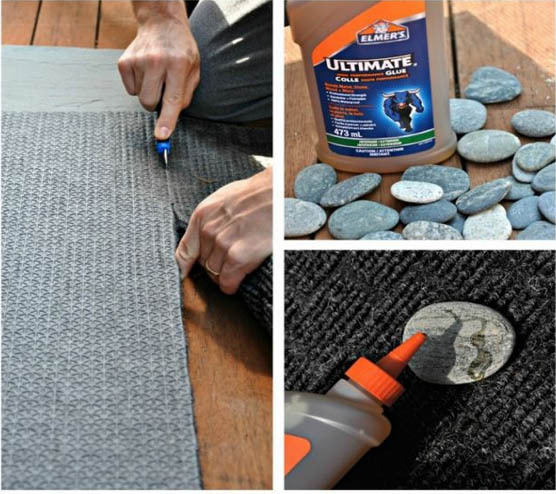 - Knife to shape the piece carpet - unless you want to paste the entire carpet, but then you will need a lot of stones. Step 1: Gather everything you need in one place. Step 2: Cut a piece of carpet at the desired shape and size. You can make a heart, a circle, a moon or whatever you can think of. 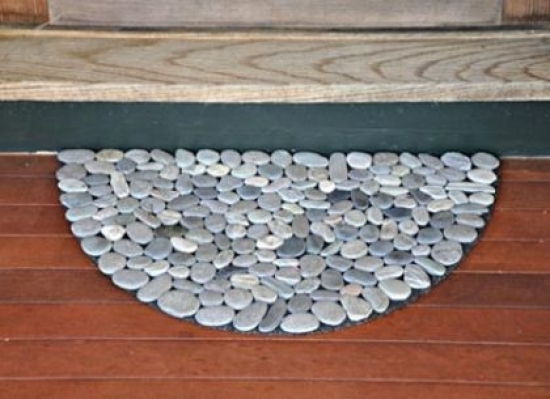 Step 3: Arrange the stones on a piece of carpet - do not glue them. Find the most suitable places to leave as less space between them. Step 4: Glue them! Allow to dry! Surprise everyone!